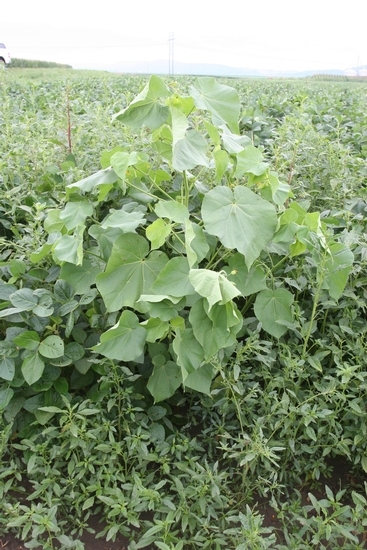 Erect summer annual with leaves and stems that are covered with hairs. 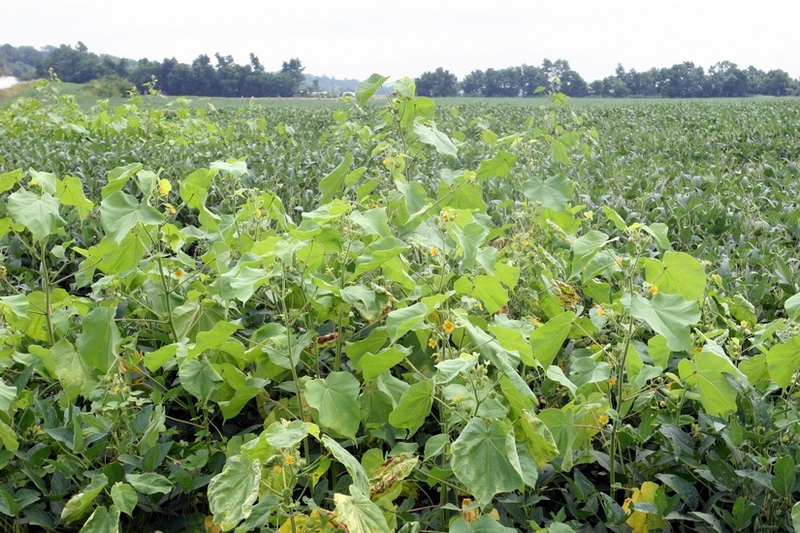 Primarily a weed of agronomic crops found throughout most of the United States. Stems below the cotyledons (hypocotyls) are covered with soft hairs. 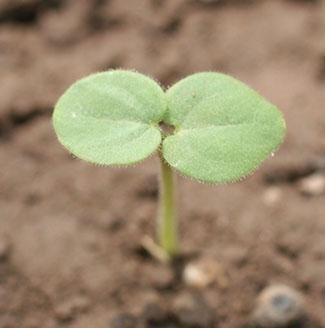 Seedlings have one round and one heart-shaped cotyledon, and cotyledons are also covered with short, soft hairs. 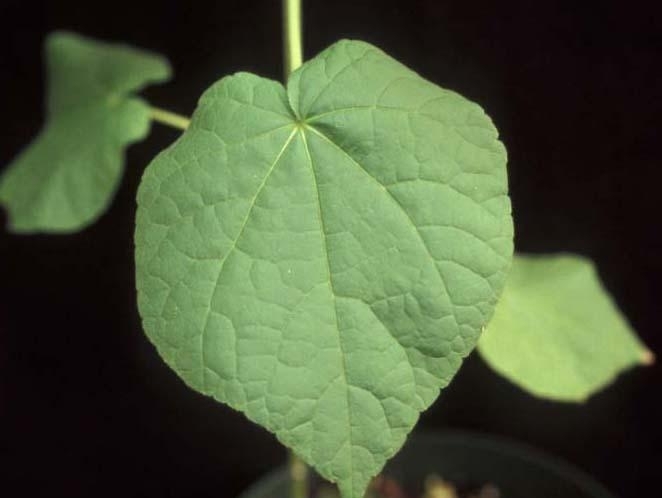 The first true leaves are alternate, heart-shaped, covered with hairs on on both surfaces, and have toothed margins. Alternate, heart-shaped, and gradually tapering to a point (acuminate). 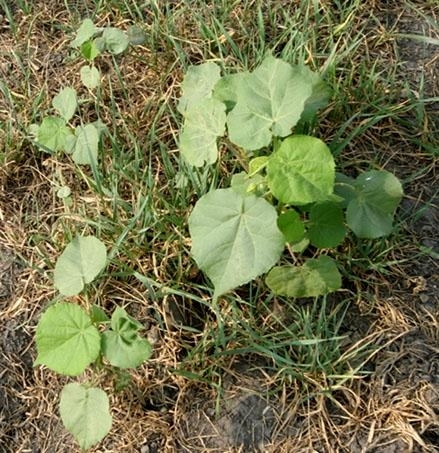 Leaves are approximately 2 to 6 inches long and wide, densely hairy on both surfaces, and have toothed margins. Leaf veins originate from a common point (palmate venation), and leaves emit an unpleasant odor when crushed. Erect, reaching 7 feet in height. Stems are also covered with soft hairs, are mostly unbranched, and also emit an unpleasant odor when crushed. Produced on short flower stalks (pedicels) in the upper portions of the plant between the stems and the leaf petioles (leaf axils). Flowers are solitary, approximately 1/2 to 1 inch wide, and consist of 5 orange-yellow petals. 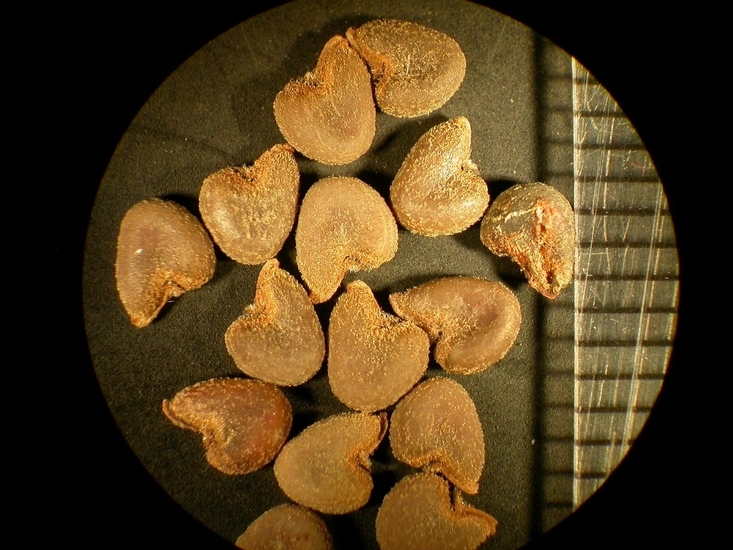 Seedlings with 1 round and 1 heart-shaped cotyledon, plants covered with short, soft hairs, and plants that emit an unpleasant odor when crushed. 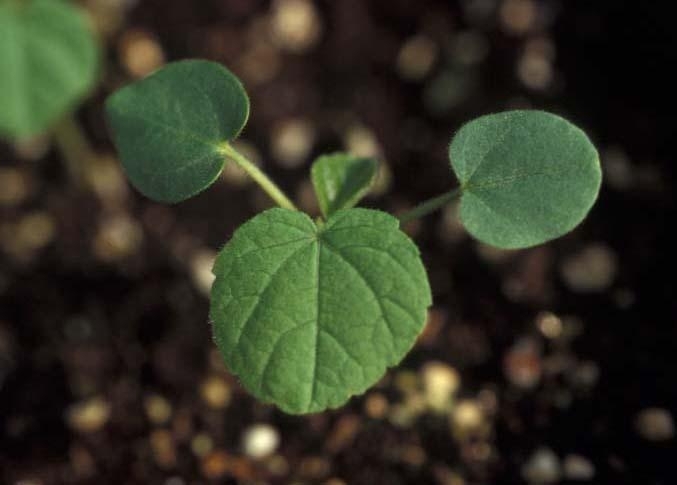 Prickly Sida (Sida spinosa) seedlings are often confused with those of velvetleaf, however this weed has 2 heart-shaped cotyledons unlike the round and heart-shaped cotyledons of velvetleaf. 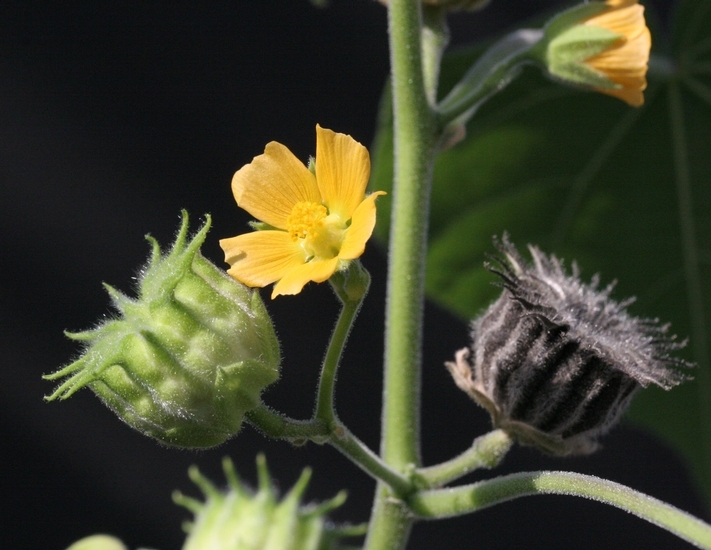 Spurred Anoda (Anoda cristata) seedlings are also very similar to velvetleaf, but the first true leaves of spurred anoda are much more coarsely toothed than those of velvetleaf.